Whether it’s the stove top, oven, grill, or open fire ever since reading Francis Mallman’s Seven Fires I’m a huge fan of the char, or controlled burning…especially when it comes to cooking vegetables. So let go of your preconceived notions, turn up the exhaust, and let these zucchini burn, burn, burn. 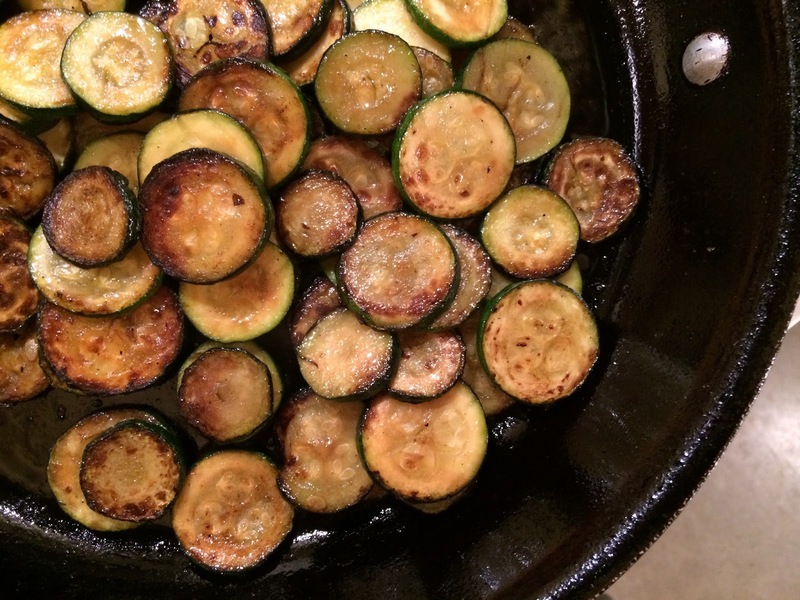 Set your heaviest pan over medium high heat then slice your zucchini and toss with just a little bit of your best olive oil and salt in a large bowl. Until recently I’ve added the olive oil to the pan but I find this technique works much better. When you’re ready to go slide the zucchini into the pan and cook for seven to ten minutes until charred around the edges, tossing occasionally. Towards the end you may want to individually turn those slices that have evaded being flipped with a pair of tongs. And if you’re adding crushed garlic, chopped shallots, or balsamic vinegar stir in a minute before serving.